Home Author/Scholar Index: Arminian Allen, David L.
Quotable Quotes – Steve Lemke, Does Human Choice Contribute Anything to Salvation? Is There a Middle Ground Between Calvinism and Arminianism? 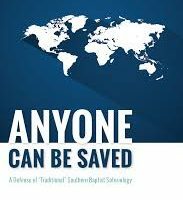 I’ve blogged about this before, but just yesterday Southern Baptist philosopher/theologian/seminary dean Steve Lemke, one of the editors of the excellent book Whosoever Will (which I highly recommended here) posted a message to the SBCToday blog accusing me of committing the fallacy of excluded middle for arguing that Southern Baptists like he are either Calvinists or Arminians and should admit it and (in his case) embrace the label Arminian — something he and the other authors of Whosoever Will reject.